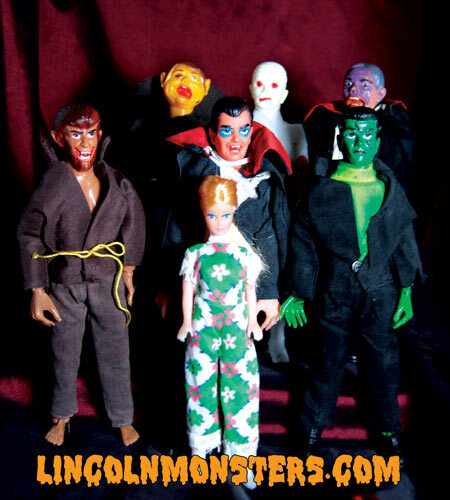 Plaid Stallions : Rambling and Reflections on '70s pop culture: Revenge of the Lincoln Monsters! 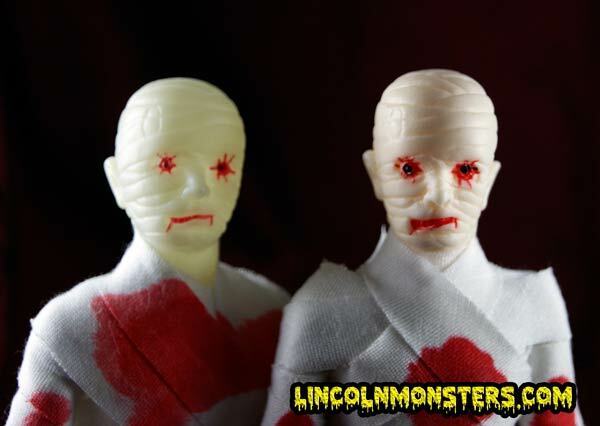 Like I said, October 2012 has been an embarrassment of riches for me when it came to Lincoln Monsters, although that's probably the wrong term as some of this stuff has pretty much forced me into "Toy Collecting Retirement" for at least a year. First and foremost, here is a group photo that I have been dying to take for some time. The Girl Victim gift set! we've got shots of the 1975 Spiegel catalog set complete with monsters and cardboard. This is honestly something I never expected to turn up but October brings out the Monster toys! 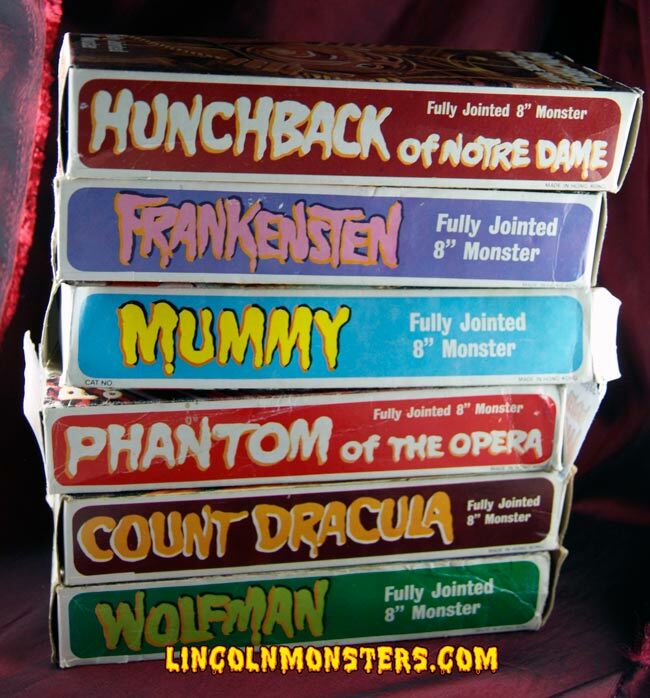 That's not all, we've cataloged more variants this year including like the Mummies above but also the three versions of Dracula, Wolfman and Frankenstein too. All that plus new improved photos, commentary, some fan art and much more. 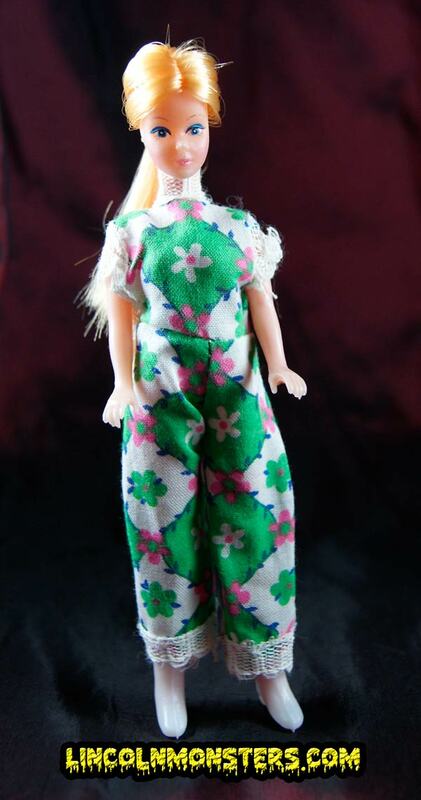 I wonder if te victim ever shows up on ebay under Dawn dolls. She looks like a Dawn clone to me.